Console Graveyard: The Sega SG-1000 - NewRetroWave - Stay Retro! | Live The 80's Dream! Tonight, we’ll be visiting the grave of a daring hero form far-off Japan. 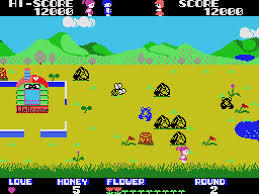 It never really made it all the way west, but it had ambitious beginnings and deserves a place in video gaming history. It was Sega’s first earnest attempt to go head-to-head with the mighty Nintendo, and despite its fall, it paved the way for future success by whetting the teeth of those involved. 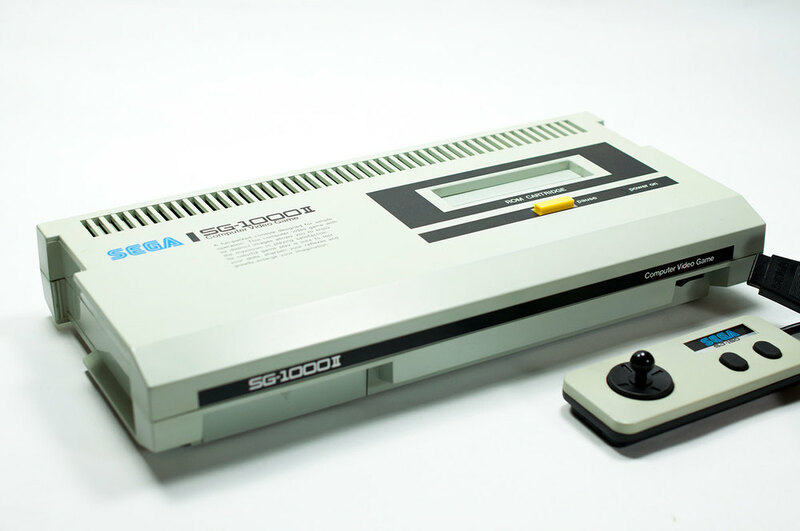 This entry into the Console Graveyard is… the Sega SG-1000. A bright and sunny little thing, all too blissfully unaware of its imminent fate. The “third generation” of console video games began a bit earlier than a casual observer may think. When Nintendo broke its champagne bottle over the Famicom and let it set sail, times were actually fairly lean in the console market. Launching a new video game system, no matter how innovative, could have been seen as a rather bold move. However, Nintendo had faith in their device, and it proved to be well warranted; by 1987, Nintendo dominated around 65% of worldwide video game console hardware sales. Little do many know that Sega made a valiant attempt to compete with the growing monolith. When the arcade market that had been such a comfortable home for them took a downturn in ’82, Sega began developing the SG-1000. The company had recently sold off some licensing, and was split in to a North American R&D arm and its Japanese corporate branch. 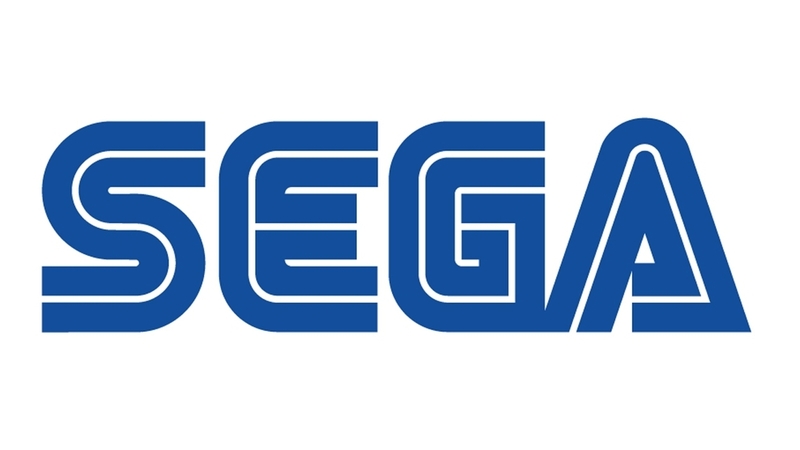 The president of the Japanese company, Hayao Nakayama, lobbied hard for Sega to apply its proven clout in the arcade realm to a home console. The end result was the stout little SG-1000, a strange creature that sort of bridged the gap between the Atari 2600 and Nintendo’s Famicom system. A strange but colorful ad for the SG-1000. I say “strange,” but stranger has come and gone, to be fair. The first iteration of the SG-1000 was a squat, bright white affair, very simple in its presentation but almost cheerful looking. The controller looked a lot like Atari’s, taking the form of a compact little joystick with broad orange buttons on either side. 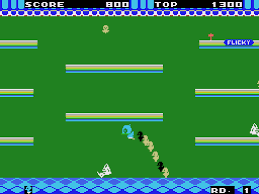 The graphics gently outperformed the 2600, but couldn’t quite compare to those of the Famicom system, with a modest 256×192 resolution and a 16 color palette. 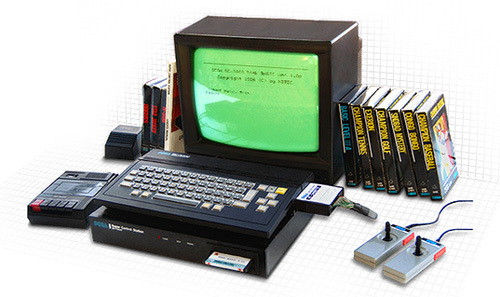 Part of the falling-short could be blamed on hardware component choices; the Zilog z80 CPU and Texas Instruments video and sound chips were the same ones used in the ColecoVision… a then-outdated system. In fact, an unlicensed system called the Telegames Personal Arcade was produced later on that could play both SG-1000 and ColecoVision games. Screens from Flicky and Girl’s Garden, two of the more memorable titles for the SG-1000. Despite these shortcomings, the system fared decently at very first, at least in domestic Japanese sales. It was also marketed in Spain with some initial success, but the American market never saw the SG-1000. However, a damning set of circumstances brought about the slow demise of Sega’s new baby. First off, much like some later consoles I’ve covered in this series of articles, Sega attempted to address flaws by simply redesigning and re-marketing the console in new forms. 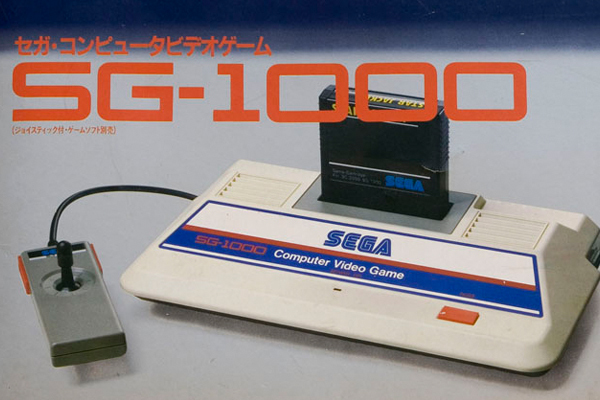 In July of 1984, another corporate buyout was followed by the release of the SG-1000 II. This new packaging included slightly improved controls and the ability to play Sega Card games as well as cartridges, but the console sold poorly out of the gate. An additional computer-keyboard style attachment did little to buoy sales, and the SG-1000 series was discontinued by October of 1985. 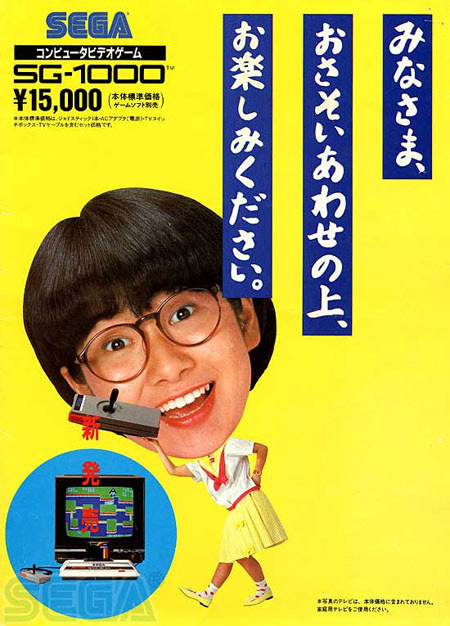 The series was also badly hit by the crash of 1983, not to mention competition outside of Nintendo in its native Japan. While Sega had lost this battle with Nintendo, they learned a lot, and doubled down on their development of console hardware. The Sega Mark III was released that same year, and it evolved into the well-known Master System, a console that was finally able to compete well in the now-growing market. By 1988, the Genesis was emerging on the scene, and the wars of the fourth generation were in full swing. Left to right: the Mark II, the 1100 keyboard attachment, and the SC-3000 (a last ditch effort to repackage the system as a personal computer). 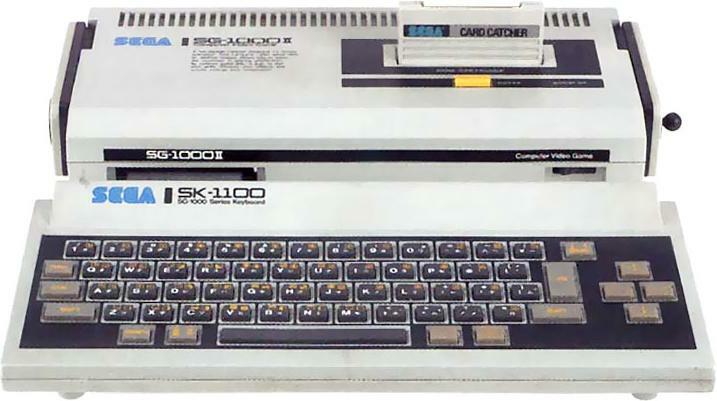 While researching this article, I was able to find very little information of much detail on the SG-1000, which leads me to believe it is often overlooked out of hand. However, as we pay our respects at this dusty crypt, we see upon closer examination that we stand at the grave of an unsung hero. I hope at least a handful of our readers discovered something they hadn’t seen or known here today. Ashes to ashes, dust to dust, and may we never forget the little consoles that fell into the spaces between.